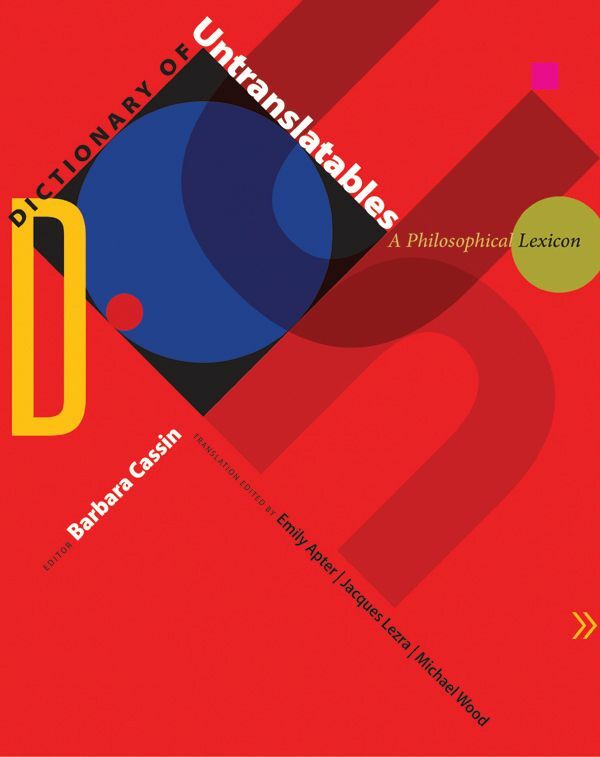 “This is an encyclopedic dictionary of close to 400 important philosophical, literary, and political terms and concepts that defy easy–or any–translation from one language and culture to another. Drawn from more than a dozen languages, terms such as Dasein (German), pravda (Russian), saudade (Portuguese), and stato (Italian) are thoroughly examined in all their cross-linguistic and cross-cultural complexities. Spanning the classical, medieval, early modern, modern, and contemporary periods, these are terms that influence thinking across the humanities. The entries, written by more than 150 distinguished scholars, describe the origins and meanings of each term, the history and context of its usage, its translations into other languages, and its use in notable texts. The dictionary also includes essays on the special characteristics of particular languages–English, French, German, Greek, Italian, Portuguese, Russian, and Spanish. The book has been or is in the process of being translated into Arabic, Chinese, Farsi, Portuguese (5 Vols, scheduled 2009-11), Romanian (scheduled 2013), Russian, Spanish, and Ukrainian (3 Vols, 2009-13, (2), (3)). First published in French as Vocabulaire européen des philosophies: Dictionnaire des intraduisibles, Seuil/Le Robert, Paris, 2004.